August 10, 1930-August 1, 2018. Sadly, we must say goodbye to another figure from the world of body modification. 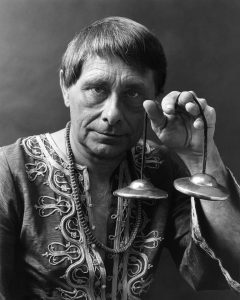 Born Roland Loomis, the man better known as “The Fakir,” influenced all generations of piercers, the other disciplines of body art, and the modern primitives community. In May 2018, when ready to announce he was sick with lung cancer, he gifted us all with a message you can read here. It’s a great window into how the man saw the world and our community. Please stop into New Flower and ask to see our small collection of books and magazines featuring The Fakir. 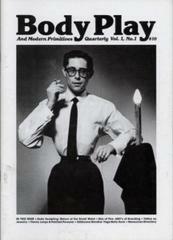 We have classic issues of Prometheus, Body Play, PFIQ, and RE:Search, and Fakir’s personal book of photography Spirit and Flesh. You’ll find these on display in our showroom. The real gem is kept in our office and you’re welcome to take a look, we have an original piercer’s workbook from the early days of Fakir’s piercing school. While piercers today would see it rudimentary, 30 years ago it would have been considered advanced.